It seems that for many of my readers, it's finally warmed up enough for sandals. Not the case in Belfast I can confirm but nonetheless, I'm getting prepared for when it does and I've a new addition to my (more extensive than anyone *really* needs in Belfast) sandal collection in the form of these Palmairas Avarca sandals. 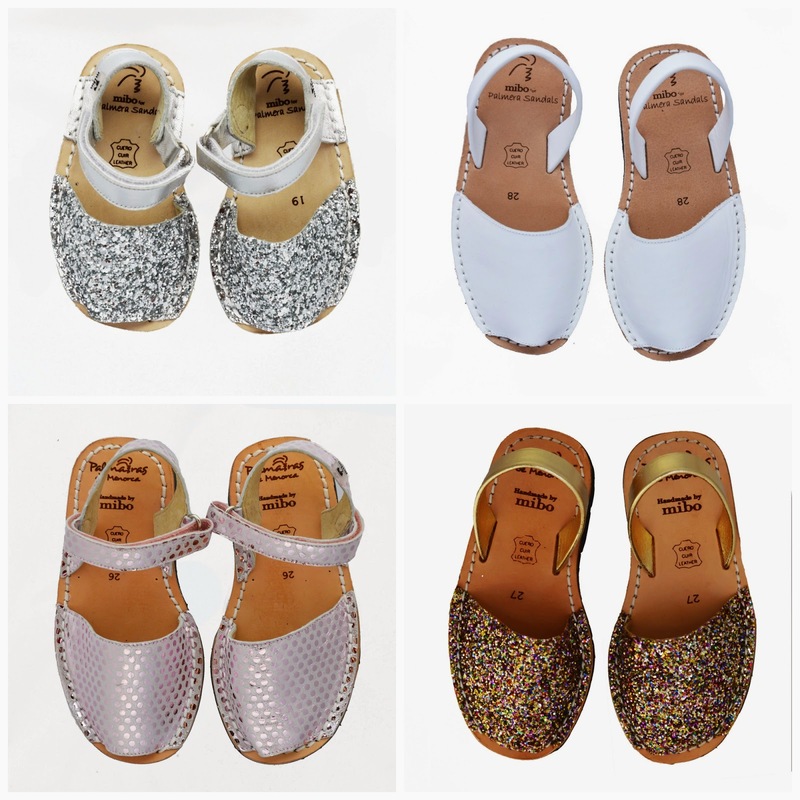 Now I love a good back story - Palmaira Sandals De Menorca was established in 2013 by two sisters, Lisa and Tracey, and Lisa's Menorcan partner, David, after many years of wearing traditional Menorcan sandals themselves. The Menorcan Avarca sandal must be made by hand on the island of Menorca in the traditional method for it to be granted an authentic seal of approval & all of Palmaira Sandals De Menorca's sandals have this stamp, having been made by local village workers in an ethical way. 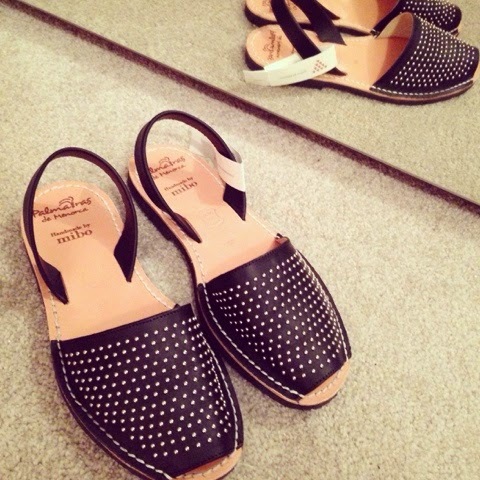 I've seen Joanna wear very similar ones from a different brand over the past couple of summers and loved the shape but my back last summer stopped me from buying. 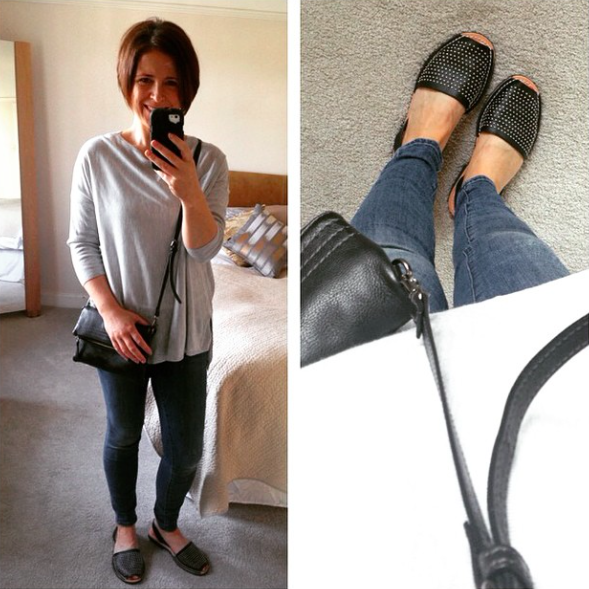 I'll be honest and say that if very flat shoes give you any back or joint issues, you'll want to wear these more occasionally than all day every day (best excuse to buy more sandals). But what I will tell you is that these sandals are so utterly comfortable from day one with no rubbing or blisters. Fit wise, they come up on the slightly bigger and wider side so I'm wearing the size 6. These are the most coveted of all the Palmaira sandals and a restock last week (announced on Facebook) sold out in 20 minutes so if you like them, keep an eye for the next time they're restocked via the Palmaira Facebook page. I'm also loving the kids' ranges - how gorgeous are these? Best bit of these sandals? No need to fully bare the toes...so if like me, you're holding out for another few weeks before starting the summer gel polish pedi's, a quick home polish is all you need as you can't actually see more than the tips of your toes. 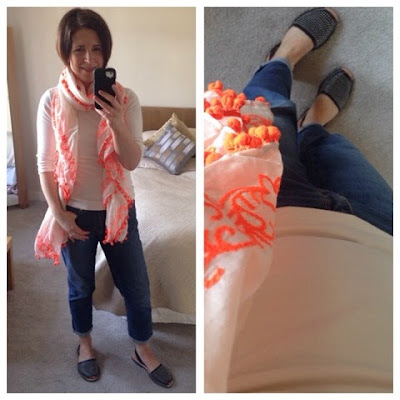 I was eyeing up the Avarcas last year and I even tried a few pairs on in Office - they were really comfortable but I was nearing the end of summer so I didn't indulge. But I did indulge this year. I bought a pair of pale silver ones and like you say, it's lovely to put on a pair of sandals which don't rub or are too thin soled or need breaking in! 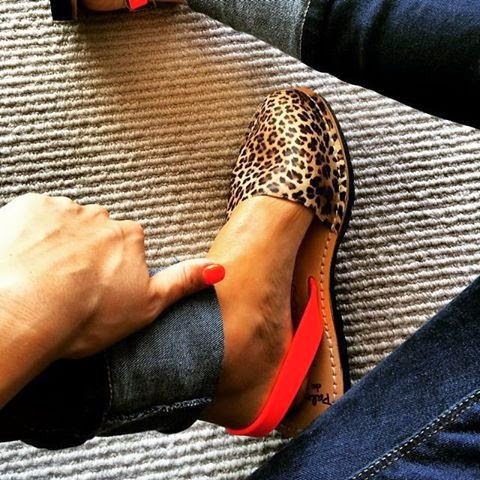 I love the pair you have but the orange and leopard ... they are a bit special aren't they?